Outdoor showers are becoming an increasingly popular addition to homes, even those with minimal outside space. Take a look at these 9 inspiring outdoor showers that are the perfect way to cool off and wash the salt (or chlorine) away. 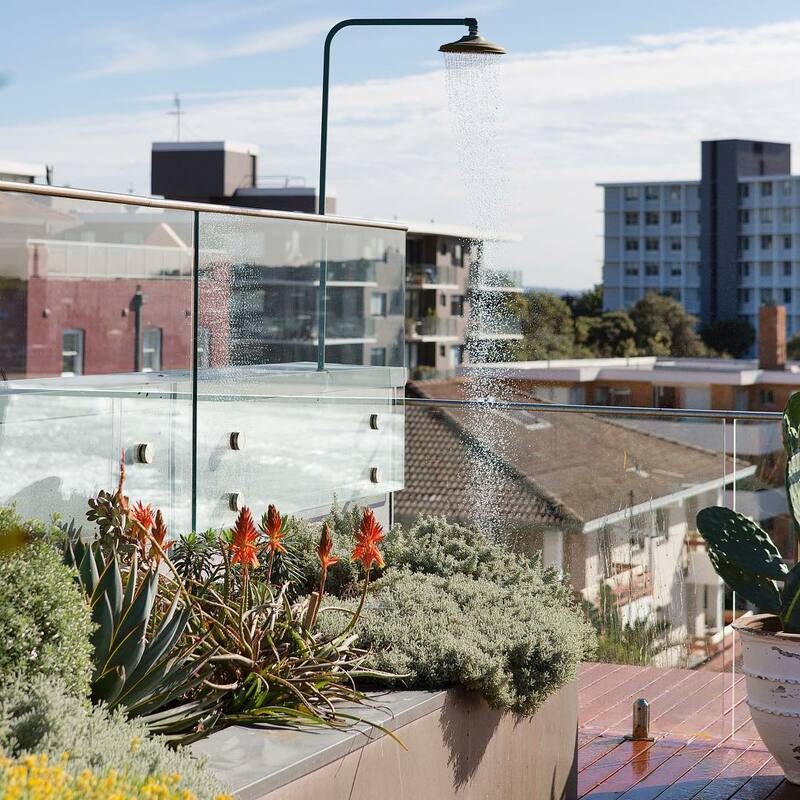 You don’t need a big garden space to install outdoor showers as Adam Robinson Design show us with this rooftop number. Positioned discreetly in the corner, the occupants can wash off the salt while taking in the impressive water views. See more of this project and others by Adam Robinson Design here. 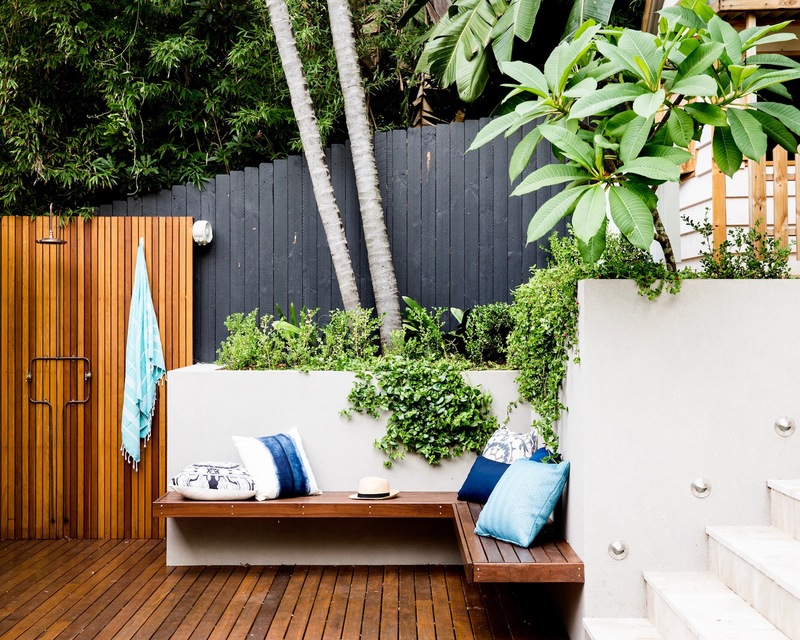 Growing Rooms have created a tropical hideaway with an outdoor shower in this Bondi project. Take a look at the portfolio of Growing Rooms here. 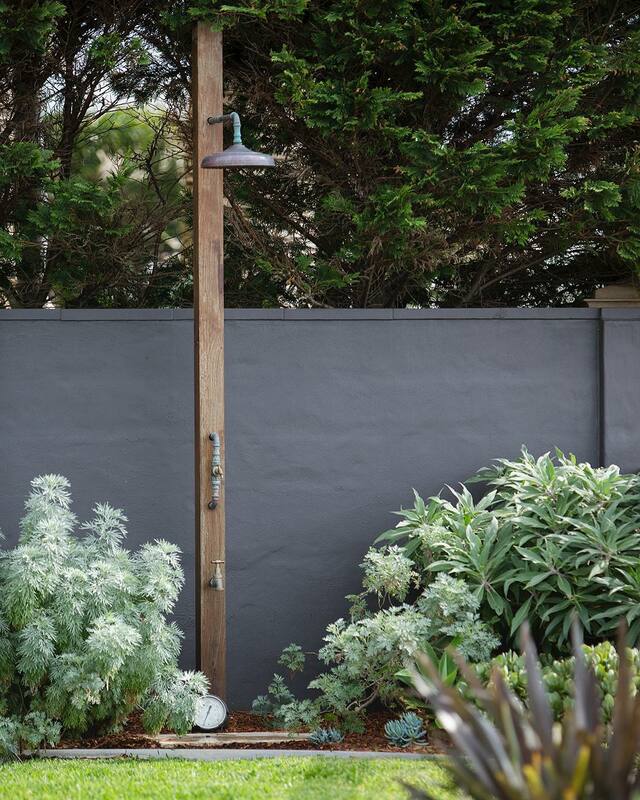 The cool grey colour palette and the textural backdrop of this outdoor shower by Arc Seven.1 create a sleek city beach feel. Arc Seven.1 have used bluestone in a custom linear pattern to add another dimension and connect the garden to the architecture. See more design details of this City Beach project here. 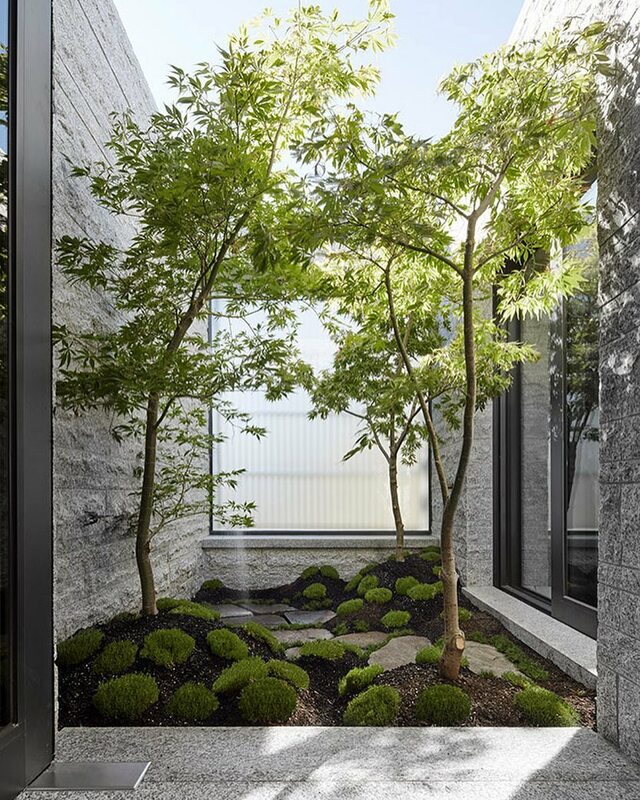 Escape the pressures of daily life in the Japanese maple garden located off the first-floor bathroom in this residence by B.E Architecture. Fallow granite flooring continues out from the bathroom into this intimate outdoor space. The full project and detail details of this B.E Architecture project can be found here. With this outdoor shower, Landart Landscapes illustrate just how effective a modest design can be. Earthy colour tones and raw materials create a rustic charm and a functional nook in this garden. Click here to see more from Landart Landscapes. 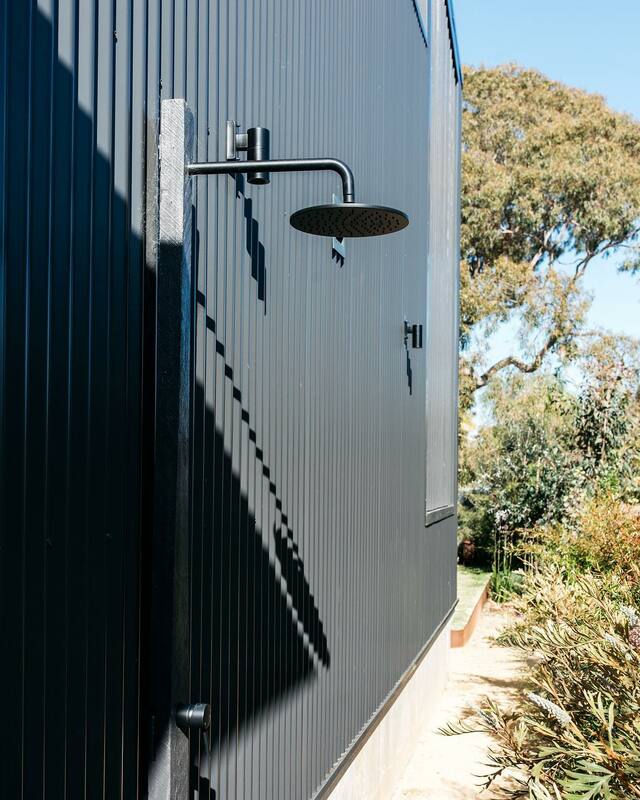 Making a feature, Bower Architecture have incorporated this outdoor shower into the form of the building and tiled it with our Bondi Cotto Zellige tiles. The design team note the shower has been designed to celebrate the ‘ritual of the beach return’. Take a look at more of this beach house here. Double House by is a true hideout from the hustle and bustle of urban Sydney. And proving you don’t need a pool or to live in a coastal region to benefit from showering in the open air is this outdoor shower space that seamlessly leads off the internal bathroom. Check out the rest of this project here. 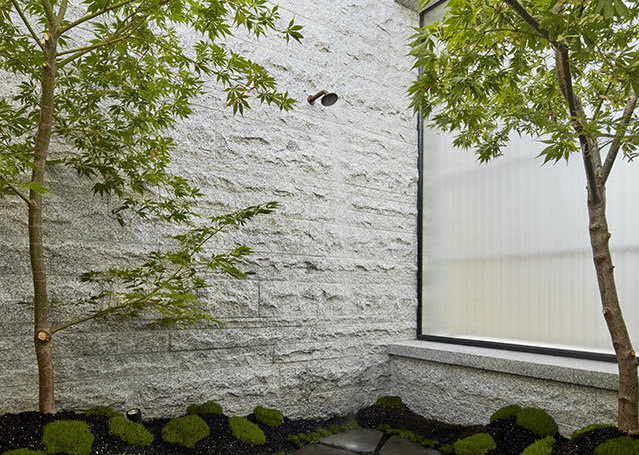 Tucked down the side of the contemporary addition by Christopher Polly Architects is this outdoor shower. 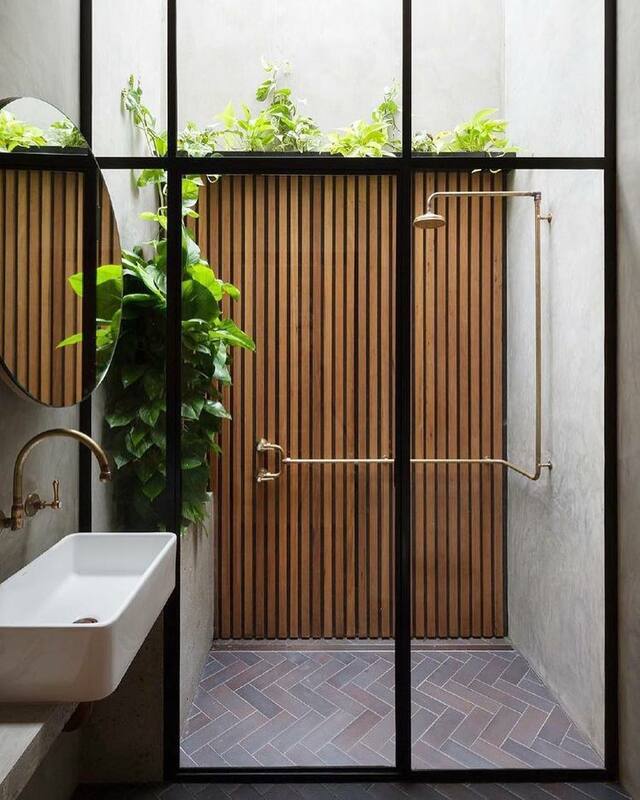 The black shower fitting marries perfectly with the corrugated fabric of the building and is surrounded by a lush garden designed by Fig Landscapes. Click here to view Christopher Polly Architects portfolio and here for Fig Landscapes. 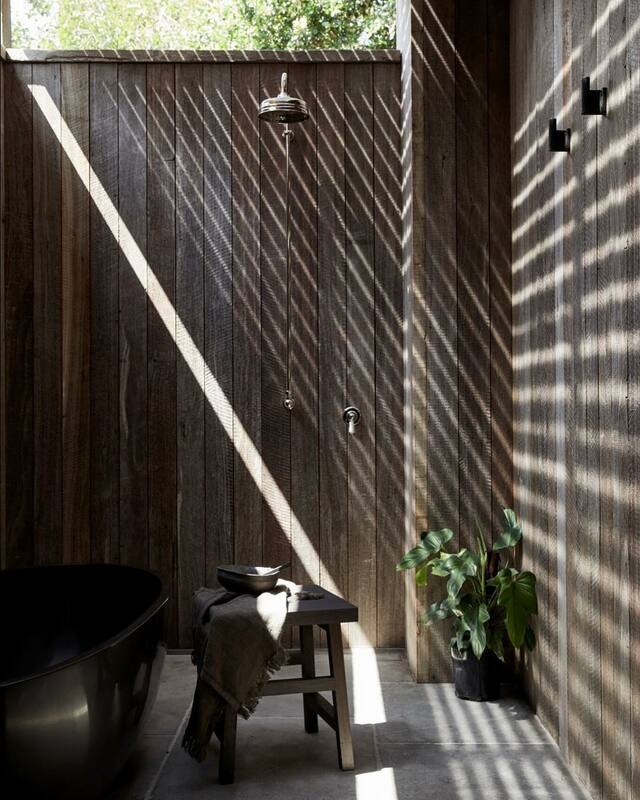 Completing our outdoor showers list is this collaboration by Kate Sacks Design and Taliah Lowry of Byron Beach Abodes who have created a luxury cabin retreat. Extending off the internal bathroom is this outdoor wet space fitted with a shower and tub which features a palette of moody tones – recycled Jarrah hardwood, honed bluestone walls and Chalford limestone floors. Take a look at this incredible Cabin (which you can book!) here.